Thanks and kudos go out to the Finger Lakes Railway for hosting our all-day excursion over their former New York Central “Auburn Road” trackage between Canandaigua and Syracuse. The trip was certainly the highlight of the 2009 NYCSHS Annual Meeting. The fact that we rode in trains decorated in classic two-tone gray NYC-inspired paint was certainly a welcome detail! But people make all the difference, so a big thanks goes out to Deb Najarro and the train crew for a smooth ride throughout the day. 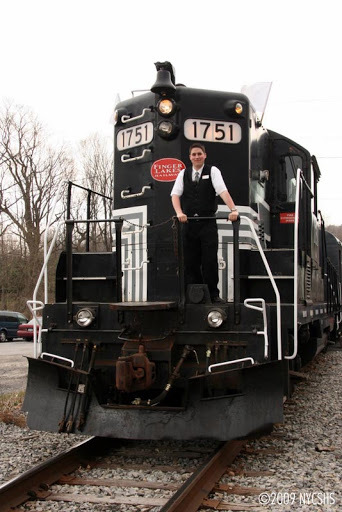 The Finger Lakes Railway offers excursions throughout the summer tourist season, check out their website for more information.